In 1990, the Intergovernmental Panel on Climate Change underscored that the gravest effects of climate change may be those on human migration. 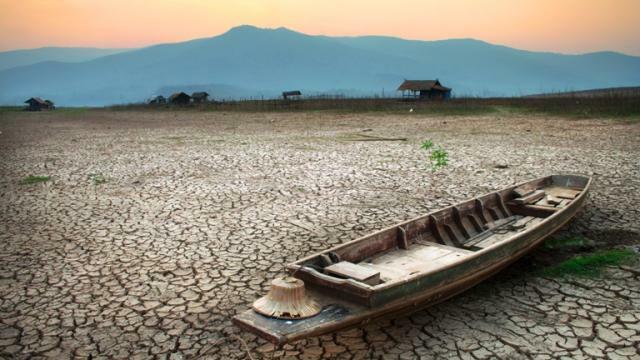 Although environmental change related human movement is not a new phenomenon, there is a growing concern that the numbers of persons displaced as a result of the current and future trends in global climate change could turn out to be unmanageably large. This concern has sparked debates in legal, policy and academic circles on what should be done to address the plight of those who migrate or are displaced because of events that have resulted from or become aggravated by climate change. The talk will engage with literature proposing legal and policy responses to address this phenomenon, including creative interpretation of existing international law, and the adoption of a new multilateral instrument (a stand-alone multilateral instrument or a protocol to the Refugee Convention or the United Nations Framework Convention on Climate Change) and it will also discuss the developing jurisprudence on climate change and migration in New Zealand’s courts. Hanna Haile is Steinberg Post-Doctoral Fellow at the McGill Center for Human Rights and Legal Pluralism. Her research and writing interests lie in the fields of international human rights, migration, environmental law, sustainability and intellectual property rights, with a particular interest on the question of how cultural phenomena shape and are shaped by law. Recently, she has been working on a project on the impacts of the activities of copper mining companies on communities living on the Copperbelt of Zambia. She holds a J.S.D. and an LL.M. from Cornell Law School and LL.B. from the University of Asmara. Prior to joining the McGill Center for Human Rights and Legal Pluralism, she has worked for the United Nations Research Institute for Social Development, Cornell University, the University of Asmara and the High Court of Asmara in Eritrea. 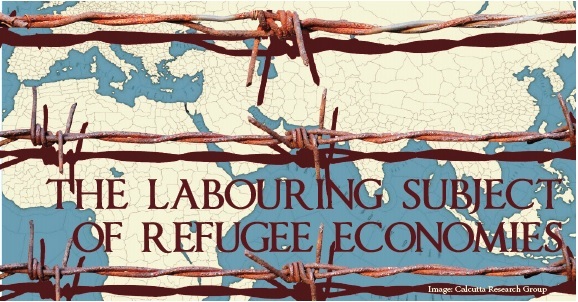 Most writings on refugee economy or the immigrant economy refer to changes in the immigrant labour absorption policies of the Western governments. In these writings the refugee economy or the immigrant economy never features directly; refugees are seen as economic actors in the market. But we do not get a full picture of why capitalism in late twentieth or early twenty first century needs these refugee or immigrant labour as economic actors. The organic link between the immigrant as an economic actor and the global capitalist economy seems to escape the analysis in these writings. Yet, if immigration policies produce precarious labour, this has general significance for the task of theorising the migrant as living labour. The question of the production of living labour is important because it puts in a critical perspective the necessity of the states and the international regime of protection to synchronise the economic and the political strategies of protection. Yet the disjuncture between the two strategies of protection is not only typical of the postcolonial parts of the globe, the disjuncture is evident in the developed countries. Globally, one can say, capital sets in motion movements of labour within a specific field of force that dictates how and why migrant labour is to be harnessed, disciplined, and governed (for instance the dominant presence of immigrant labour in logistics, health care, agriculture, etc. ), and that shapes the links between “strategies” (that control migrants once they are in motion) and the mechanisms that set these movements in motion. Ranabir Samaddar belongs to the critical school of thinking and is considered as one of the foremost theorists in the field of migration and forced migration studies. The much-acclaimed The Politics of Dialogue (2004) was a culmination of his long work on justice, rights, and peace.He is currently the Distinguished Chair in Migration and Forced Migration Studies, Calcutta Research Group, India. Respondent: Megan Bradley, Assistant Professor of Political Science and International Development Studies at McGill University. Professor Bradley’s research focuses on the rights and wellbeing of refugees and internally displaced persons, as well as on questions of transitional justice, reconciliation, and accountability for human rights violations. She holds a doctorate in International Relations from St Antony’s College, University of Oxford, and is the author of Refugee Repatriation: Justice, Responsibility and Redress (Cambridge University Press, 2013). In late 2015, Megan published a book entitled Forced Migration, Reconciliation and Justice with MQUP which explores the harsh reality that more people were displaced globally in early 2015 by conflict and human rights violations than at any time since the Second World War. Respondent: Hanna Haile, Steinberg Post-Doctoral Fellow at the McGill Center for Human Rights and Legal Pluralism. Hanna Haile’s research and writing interests lie in the fields of international human rights, migration, environmental law, sustainability and intellectual property rights, with a particular interest on the question of how cultural phenomena shape and are shaped by law. Recently, she has been working on a project on the impacts of the activities of copper mining companies on communities living on the Copperbelt of Zambia. She holds a J.S.D. and an LL.M. from Cornell Law School and LL.B. from the University of Asmara. Prior to joining the McGill Center for Human Rights and Legal Pluralism, she has worked for the United Nations Research Institute for Social Development, Cornell University, the University of Asmara and the High Court of Asmara in Eritrea. 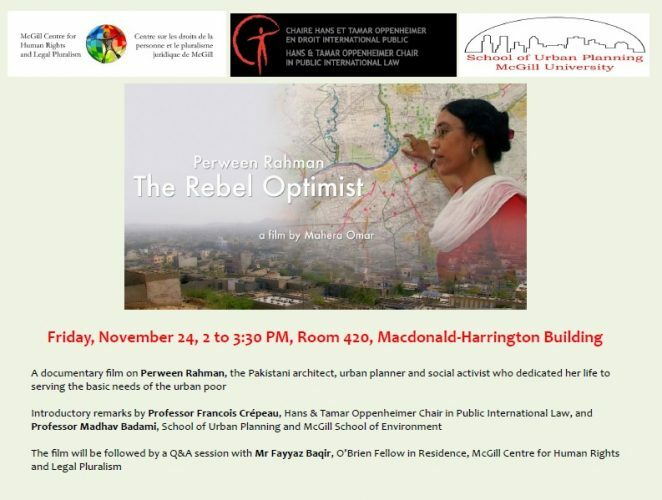 A documentary film on Perween Rahman, the Pakistani architect, urban planner and social activist who dedicated her life to serving the basic needs of the urban poor. The film will be followed by a Q&A session with Mr Fayyaz Baqir, O’Brien Fellow in Residence, McGill Centre for Human Rights and Legal Pluralism. Beginning in March 2011, the Syrian conflict has generated one of the worst refugee crisis in the post World War II era, and has shed light on the urgent need to adopt a protection based approach to the irregular migration crisis. 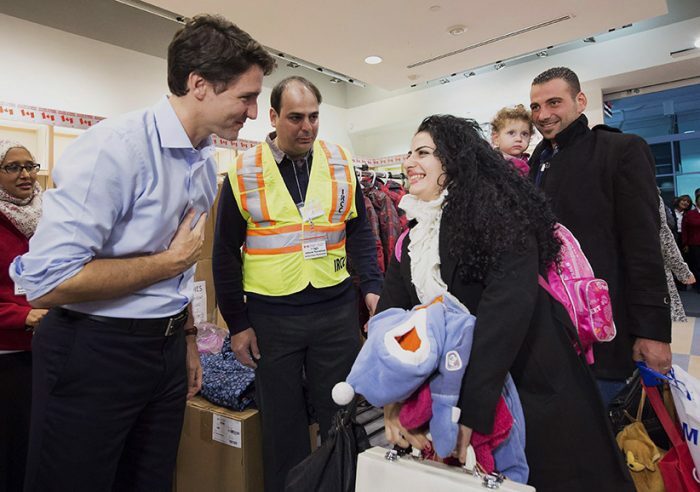 Canada has also opened up its doors to Syrian refugees. The Canadian system has offered not only government sponsorship of refugees but also a private sponsorship program for resettlement. Canada’s use of both government and private sponsorships as a way of resettling refugees, and highlighted that it is a ‘role model’ for resettlement that should be exported worldwide. Or should it? We reflect on the successes and lessons learned from this experience as well as prospects and challenges of ensuring that it responds to the protection and humanitarian needs of refugees. Janet Dench is the Executive Director of the Canadian Council for Refugees, where she has worked for over 25 years. The Canadian Council for Refugees (CCR) is an umbrella organization bringing together over 180 NGOs across Canada committed to the protection of refugees and the settlement of refugees and immigrants. The CCR plays a leading role in advocacy for refugee and immigrant rights. Audrey Macklin is Director of the Centre for Criminology and Socio-legal Studies, Chair in International Human Rights Law at the University of Toronto, and a current Fellow of the Pierre Elliot Trudeau Foundation. She teaches, researches and writes about migration and citizenship law, business and human rights, and administrative law. From 1994-96, Professor Macklin was a member of the Canada’s Immigration and Refugee Board, where she adjudicated refugee claims. Professor Macklin has also acted as pro bono intervener counsel or academic legal advisor in several public interest human rights cases, including legal challenges to security certificates, withdrawal of health care for refugees, citizenship revocation, and the ban on niqabs at citizenship ceremonies. Adnan Al Mhamied has a Master of Social Work (MSW) from McGill’s School of Social Work and is a Syrian researcher with the ‘Refugee Integration and Long-Term Health Outcomes in Canada’ study (SyRIA.lth). Adnan left Syria in August 2014 after he played a leading role in the 17th April political movement. He founded the Damascus Centre for Human Rights Studies in his hometown Dar’a and was then selected to be the first ICAN Syrian fellow at the School of Social Work. Adnan has worked with Syrian refugees in Jordan and Montréal, and with internally displaced Syrians inside Syria. He is currently preparing for his PhD exploring the topic of Syrian fatherhood and migration. Sarwat Dalal Bashi is a Syrian International Human Rights Specialist with a wide experience in the field of civil society and a former O’Brien fellow at the faculty of law (McGill University). He worked at the International Rescue Committee in Turkey for more than two years managing programs for Syrian refugees and internally displaced persons (IDPs) as a protection and rule of law manager. In 2015, he became a Fellow of the United Nations Alliance of Civilization (UNAOC) and travelled to the United States, Germany, Bosnia and Belgium to do research and provide advice to UNAOC and EUNA leaders on Migration and Integration and interfaith dialog issues focusing on Middle East and North Africa (MENA) refugees and immigrants. Prior to 2014 Sarwat worked as a Research Consultant for Human Rights Watch. Sarwat holds a bachelor of law degree from the University of Aleppo, 2005; he has practiced law and legal consultancy for eight years, specializing in criminal and human rights cases. He was honored by the Syrian Bar Association as a Master Lawyer in 2008. The event will be moderated by Professor François Crépeau, Director of CHRLP and holder of the Oppenheimer Chair in Public International Law. From 2011 to 2017, he was the United Nations Special Rapporteur on the Human Rights of Migrants. 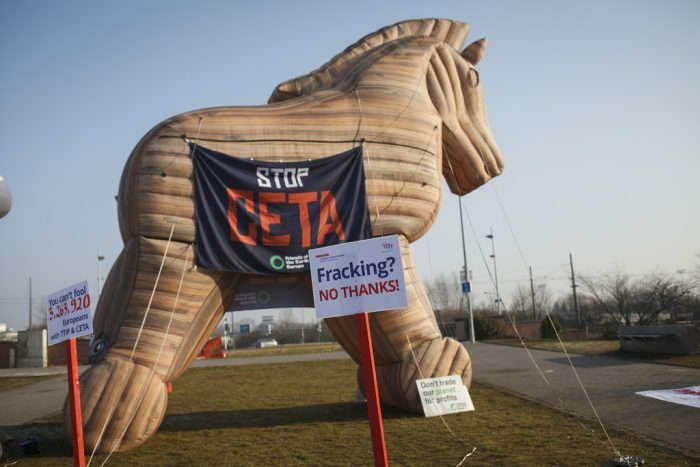 He is a Fellow of the Royal Society of Canada, a Fellow of the Pierre Elliott Trudeau Foundation, and an Advocatus Emeritus of the Quebec Bar Association. The Oppenheimer Chair and the Centre for Human Rights and Legal Pluralism (CHRLP) are pleased to welcome Florian Couveinhes Matsumoto, from the École normale supérieure (Paris, France), for a conference on the potential threats to Democracy posed by treaties, and on more democratic ways to negotiate, adopt and ratify them. In this conference, Florian Couveinhes Matsumoto will give an overview of his research, which revolves around three distinct, but related topics: first, the way treaties – and especially trade agreements, investment treaties and treaties that establish international organizations – were and are used by a business and political elite to impose unpopular organs, procedures and policies over which people (and in most cases even domestic parliaments) have little control; second, the reasons explaining why these methods are increasingly problematic and criticized, and why some political circles are willing to seriously address this issue; third, how to improve the democratic character of treaty negotiations, adoption and ratification, in order to avoid two major contemporary problems: the fact that many treaties only secure the interests of a small minority of technocrats and large international corporations, to the detriment of ordinary people, and the issues raised by political uproars leading to the election of governments that are against the current form of international cooperation and international Law, but with no valuable alternatives. The presentation is moderated by Professor François Crépeau, director of the CHRLP, and will be followed by a discussion with the audience.